Payroll may be necessary for your business to function, but it's not necessary for you to do it on your own. 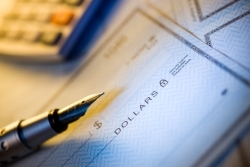 Our Pittsburgh CPA firm offers fast and efficient payroll services. You can rely on us for accurate and timely payroll, payroll reports and payroll taxes, but most importantly you'll value the friendly, personal service we provide. With Davis, Davis & Associates as your payroll partner, you will experience complete freedom from payroll processing hassles. As a small-business owner, you know the pressures of payroll. Filing paperwork on time is a daunting task and then you worry whether it's accurate. Let the tax accountants of Davis, Davis & Associates handle those details for you. We specialize in payroll tax.